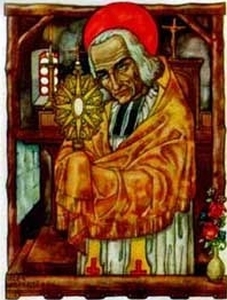 John Vianney was not a well-educated man. He had been born to a family of poor peasants near Lyons, France. He briefly served in the military before deserting. He greatly desired to be a priest because of the heroic quality of the outlawed ministers who would supply spiritual sustenance and succor under threat of arrest, imprisonment, and even death. Yet, he was not a learned or well-read man. His inconsistent education combined with his relative lack of academic intellect suggested that the priesthood was not an appropriate profession for him.Regardless of his suitability for the profession of priest, John was ideally suited for the calling and vocation of priest. He was, eventually, recommended for ordination--although, it was with great hesitation that the bishop agreed to assign him. He was not learned like other priests but he was sincerely interested in taking care of people and providing spiritual support and formation. In 1815, he was finally ordained. In 1817, his bishop assigned him as the parish priest of a small village--Ars-en-Dombes--where he was expected to live out a life of obscurity and do little damage. Even though the bishop failed to see John's potential, God was calling John to do great things. Even though it was clear that his advisers, friends, and supervisors felt that his was an unimportant calling, John understood his parish to be a flock of people thirsty for life-giving water. Though he was unable to do much education on abstract theology or erudite books and theories, he repeatedly poured himself out for his flock. His people talked among themselves and wondered if he ever slept since they were aware that he was constantly visiting members, officiating over the work of the Church, and engaging in his own spiritual formation. Though John's sermons were simplistic and far from eloquent, they spoke with the power of a man who truly believed that love was stronger than death. John's every action and movement became a powerful sermon about sacrifice, love, peace, and hospitality.Though the world had labeled him insignificant and his parish unimportant, John devoted himself to the ministry of loving these people with all his heart, mind, soul, and strength. John would hear confession on some days for up to 18 hours. His skills with confession were laudable and his investment in his people reaped dividends in their own spiritual formation. 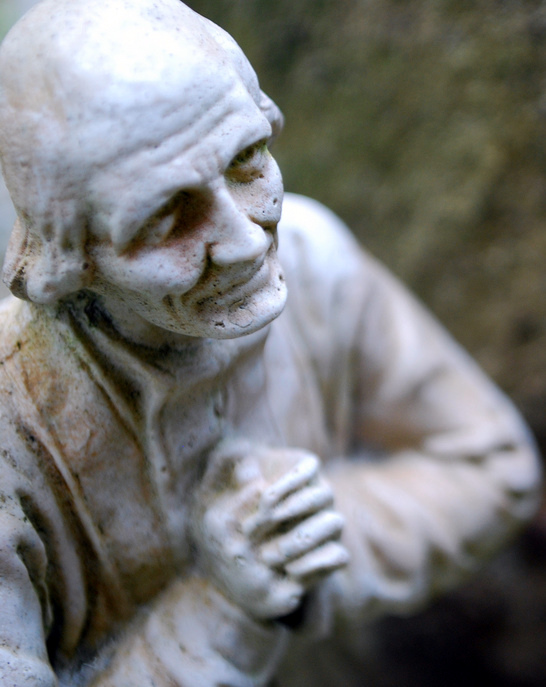 By being devoted to their lives--day in and day out--John gained a familiarity with them that allowed him to move them in confession and formation. He helped call out their sin and weakness and moved them onward to greater growth and devotion to their common Lord and Savior. This unlearned man knew little of books but much of people and holiness and lead onward calling his flock to follow into the Kingdom of God. As John continued his ministry at Ars-en Dombes, this unimportant town became a center of people seeking compassion and care. For those who sought healing from the world and their own self-initiated slavery to sin and destruction, John offered a hand to hold while Jesus Christ freed and redeemed them. John never quite understood what all the fuss was about and why so many people wanted to honor him and never would. For John, this was simply what being a priest meant. Though John was not martyred--in fact, he died of natural causes--it's true to say he repeatedly laid down his life not only for his friends, but also, for his enemies. John lived a life worthy of remembrance and emulation. Miracles and feats accompanied this gentle and soft-spoken shepherd but, for John, the greatest miracle of all was God calling greatness out of the insignificant and unimportant.